Extreme Marquees was founded in 2006 in Enoggera, Brisbane. At this time, Extreme Marquees gained traction in the folding gazebo market as the first company in Australia to offer custom printed gazebos. With a focus on innovation, quality and customer satisfaction, Extreme Marquees Brisbane rapidly outgrew its Enoggera location and is now situated at 3 Bailey Court Brendale, Brisbane. If you’re searching for where to buy printed marquees or folding gazebos for sale in Brisbane, you’re in the right place! Extreme Marquees’ core products since conception in 2006 has been plain and printed folding gazebos and marquees. Extreme Marquees has a large range of folding gazebos for sale in Brisbane available to suit our varied weather throughout the year. Make your business stand out in Brisbane with our custom printed gazebos and banners. We use the latest paper sublimation technology to ensure the highest quality printed gazebos and promotional banners on the market. With 14 different styles of promotional banners and 7 different banner bases available, our outdoor promotional banners and flags range provide the perfect finishing touch to any marquee set up. Extreme Marquees has sold hundreds of large event gazebos in Brisbane alone and is dedicated to providing customers with more of these products for many years to come. Our Event marquee range is for sale in Brisbane and can be custom produced to virtually any size. 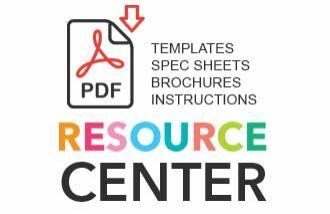 Full structural engineer certificates can be found on our resources page. The Extreme Marquees Brisbane team now features 23 employees across 5 departments. These departments ensure fast service, high-quality products and great customer service. The sales department is the company’s largest department, featuring eight members with a wealth of experience as many members have been with the company for more than 10 years. 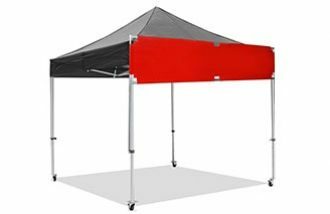 This department is highly trained in product knowledge and customer service to ensure Brisbane customers receive the best advice when buying a folding gazebo, branded gazebos or printed banner. The Extreme Marquees graphics department features 3 members – a senior graphics designer supported by 2 graphics support members to ensure Brisbane customers receive high quality, vibrant printed gazebos and marquees that are both professional and stand out in any environment. 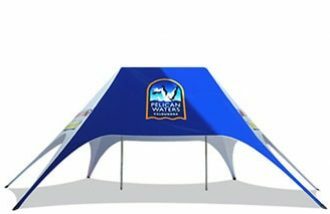 Having designed thousands of printed marquees and promotional banners for stallholders, large public companies and government organisations, they are capable of producing the perfect custom branded folding gazebos regardless of the difficulty and intricacy of the design. The Brisbane logistics department consists of two members responsible for tracking all orders from production through to final delivery to the customer. This team communicates with both international and national delivery companies to ensure Brisbane customers receive their products in the least amount of time possible. This team is also in regular contact with customers updating them at every stage regarding their products location and the estimated time of arrival. The warehouse department consists for 5 members responsible for ensuring all orders are packed and dispatched accurately and in a timely fashion. This team is very experienced and has great product knowledge. This team has also customised many folding gazebos and promotional products for Brisbane customers. The Extreme Marquees Brisbane management team is responsible for product development, systems management and ensuring a high level of customer service is maintained. This team actively works with all company departments to ensure every customer of Extreme Marquees receives a high-quality product and great customer service.